I remembered I had some old pics from those Wye days! Yes I'm afraid our fish care wasn't the best in those days. I sincerely hope that didn't contribute to the decline we speak of! Ahh the 70's. The sartorial elegance, the obligatory 'tash and a fag on. I have many similar images catfish but alas none with such impressive roach. 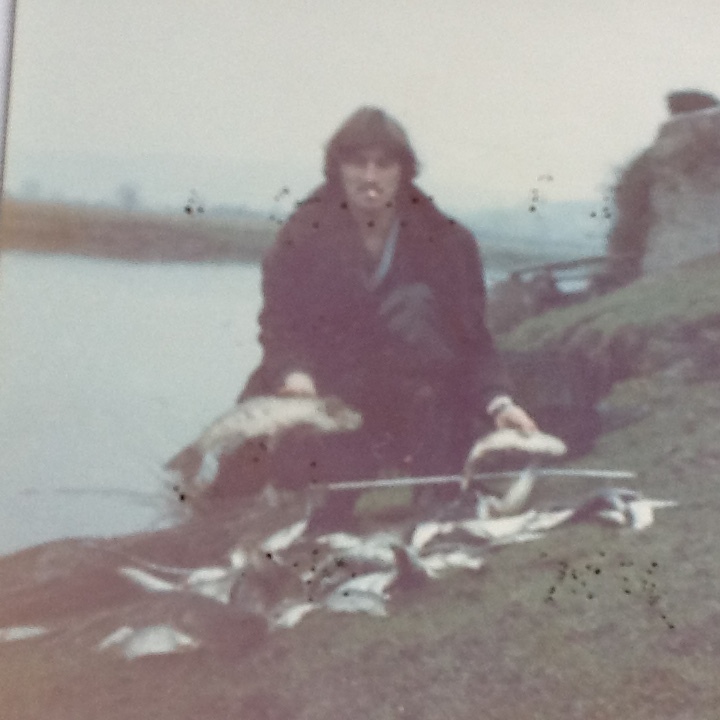 I should love to have fished the Wye back then. Hi Tengisgol - I knew 'Joe' Burrows who may have really been a Lionel. 'Joe' was on the committee of H&DAA for years. I only ever fished one match in my life and Joe knew the lake venue and told me exactly what I had to do to win. So I followed his instructions and did win! That was thirty years ago. Different chap. Lionel was a very dear friend that I met at Severals, originally from Slough but then retired to Ross. 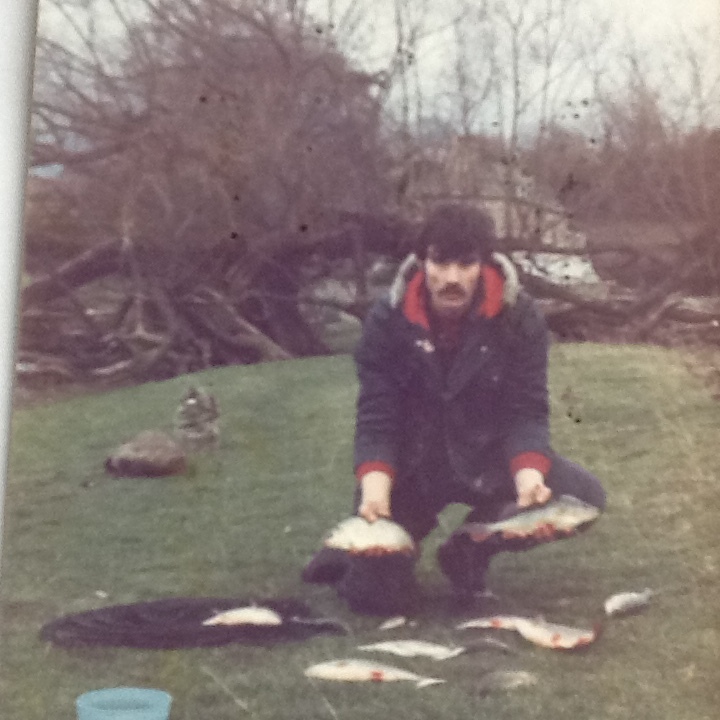 He was a very active and good roach fisher and caught many Wye redfins over the years including some two's. When he was in Slough he fished on the Thames and Kennet locally and then, like me, travelled to the Avon and Dorset Stour. He began fishing the Wye on holiday, staying in a caravan park before he bought a bungalow and stopped working. He was very much involved in bailiffing locally and I just thought there was a chance you may have come across each other (accepting its a long river and you are upstream somewhat). I was with Lionel on a very special day on the Avon. He'd been part of the Burgate crowd but we went onto a new stretch (to us). He taught me a real lesson. He spent at least two hours walking and watching the stretch before deciding where he would fish. Within an hour there was a scream and a yell and his rod flew through the air into the undergrowth. Lionel emerged red with rage and anger, after he'd dropped a big fish at the net. Shortly after he put a much smaller roach on the bank...his fiftieth two pounder at 2lbs 6oz. He had form and knew a big roach, his PB being a 3-6-00 from the Stour...rest in peace my dear friend. I will stick to the more local lower river though, and dream of a giant, while still valuing every smaller fish ! Yes I think that Dave is absolutely right about these roach. They are very thin on the ground when you venture far upstream from Hereford town. Nonetheless they are there if you are prepared to put the time and the legwork in. I think you are right Dave. With the River Fest qualifier on the Wye today it'll be interesting to see if any roach show. There's still some colour in the water from earlier in the week.